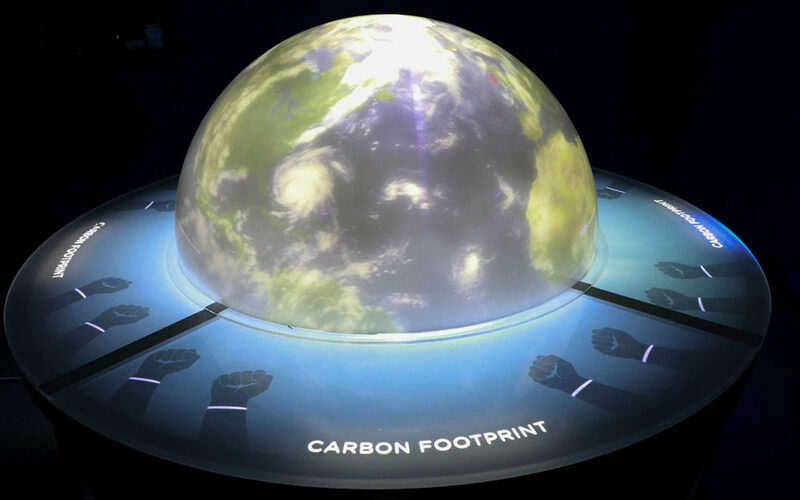 Opened in March 2018, Thought Different completed its largest project to date, with over 40 interactive installations —the world’s first centre dedicated to informing visitors about climate change. Working with DMW Creative, Thought Different was responsible for all the software development throughout the experience. We also conceived, scripted and designed three of the seven spaces within the visitor centre. Upon arrival visitors are handed ‘smart wristbands’ at reception. Their first task is to log in with their (RFID) wristband, enter their first name and then complete a series of multiple choice questions to calculate their own personal carbon footprint. 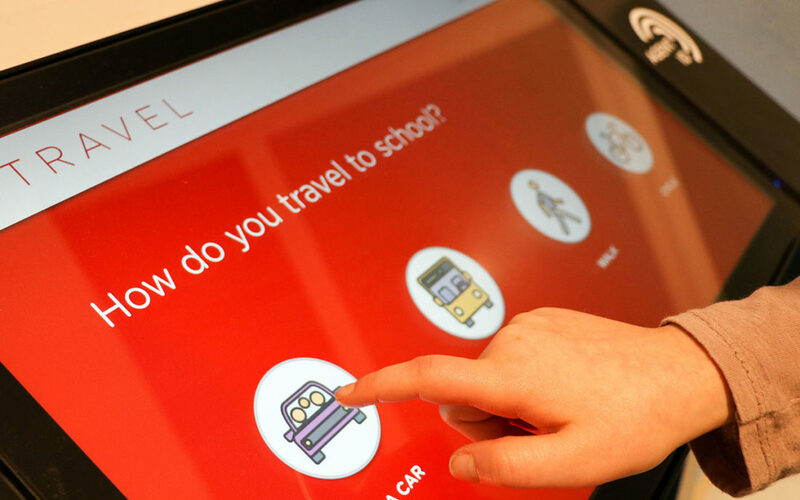 As visitors progress through the experience they ‘tag on’ in each space and record their progress. After their visit, they can return home and view their progress online at www.cpe.cool and access further resources. One of our most challenging video edits opens the experience in Cool Planet. The Disaster Scenario had a simple brief. 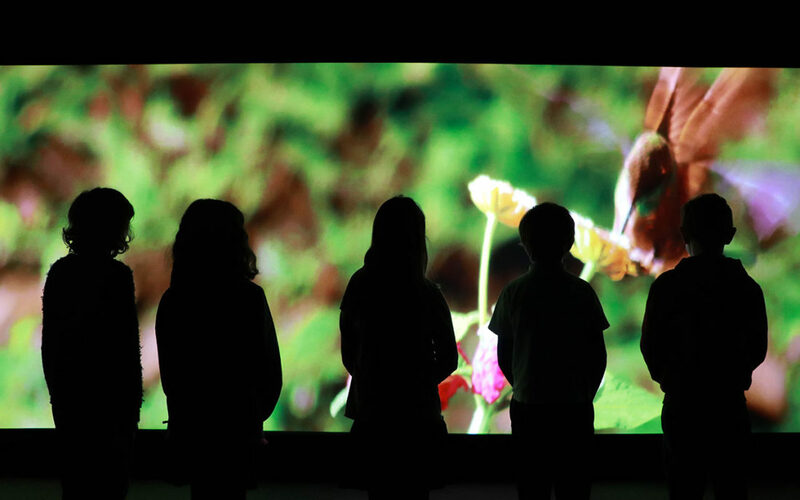 Show visitors the beauty of the world. Show them the effect THEY are having on it. Show that climate change is already happening and not just a problem for future generations. The result is an emotional and unsettling piece that gets the visitor thinking from start. Thought Different’s most ambitious and complex installation, the Race to 2050 is a multi-player game where the visitor is challenged to fix a dying and polluted city of the future. 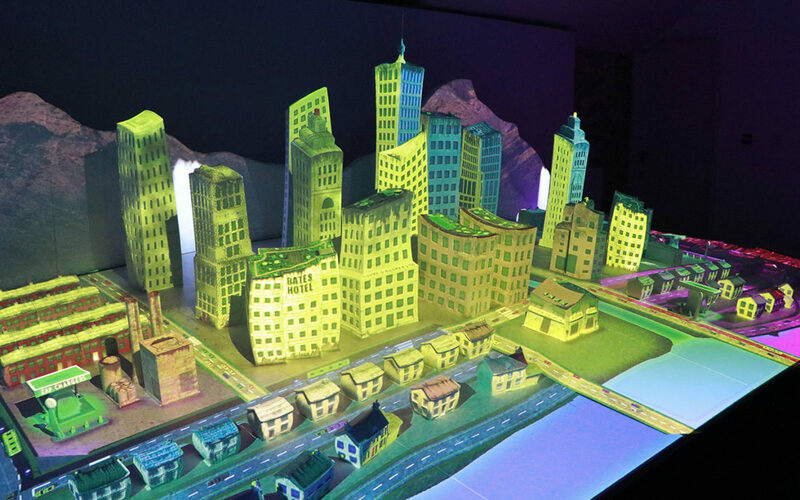 As they progress through the nine interactive games they can see the results of their actions on the large projection mapped city which was 3d printed with 100% recycled materials. The Race to 2050 was nominated for Best Creative in the Digital Media Awards and Thought Different won the Best in Technology Innovation category at the awards. ... this Cool Planet thing is the best education-by-stealth experience we’ve ever had. I’d go as far as to say it was the best family outing we’ve ever been on.